We have added another animal to our brood of pets. 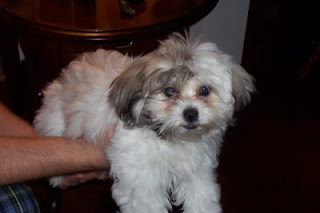 "Sophie" is a Shih Tzu/Bichon Frise mix. However, this is my Mother-in law's dog, so it stays on her side of the house. However, if we happen to open the entry way into Mom's house, Sophie will tear out of there after our three cats. 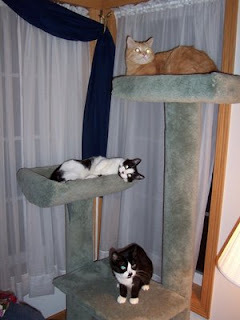 Yes, the felines are not amused by this new development. Three of the best minds in today’s conservative movement were in town last evening for an event entitled “Talk the Vote”, sponsored by AM 1280 The Patriot. It was a capacity crowd at Orchestra Hall in downtown Minneapolis with people having to be turned away at the doors! To kick off the evening, we were honored to hear brief greetings from prominent GOP politicians (and candidates) Congresswoman Michele Bachmann, Barb Davis White, Erik Paulsen, Ed Matthews and Senator Norm Coleman. Governor Tim Pawlenty also made an impromptu appearance. The keynote speakers for the evening, Salem Radio hosts Hugh Hewitt, Michael Medved and Dennis Prager (all of them prestigious Ivy league grads), gave impassioned talks on not only the importance of the upcoming election but also the future of America’s economy and cultural landscape. Anyone who has heard Barack Obama soundbites over the past few weeks (i.e. “spread the wealth”, “…constraints that were placed by the founding fathers in the Constitution”, etc.) should be very concerned the direction this country will be headed if indeed there is an Obama presidency. In fact, more than one of the speakers likened the prospects to the Jimmy Carter administration, when there was 8.5% unemployment, double digit inflation and the beginning of a tenuous relationship with the newly Islamic ruled Iran. The fact people have taken that in to consideration has undoubtedly helped McCain surge in some of the latest polls. Bottom line: My wife and I needed the indomitable optimism and hope displayed by the conservative triumvirate. Granted we’re not deluding ourselves into thinking that there isn’t an uphill battle over the next week. But there is definitely ample opportunity for Senator McCain given Obama has been on the record conveying his true far left ideology. For more insightful analysis (including video footage) check out the reports from Ed Morrissey and Mitch Berg. And people call Bush a fascist? Fascism: a governmental system led by a dictator having complete power, forcibly suppressing opposition and criticism, regimenting all industry, commerce, etc., and emphasizing an aggressive nationalism and often racism. Obama campaign cuts off WFTV after interview with Joe Biden. 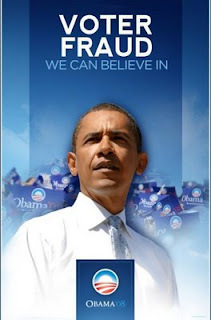 WGN-AM again target of Obama campaign. We have added to our repertoire of political signs this week! Before this election season, I would have never believed I would be donning a lawn sign for a political candidate endorsed by both the Pioneer Press and Star Tribune. Team Coleman spread the word via e-mail this afternoon. What a beautiful day in Minnesota and a great day at Coleman For Senate! We want to give you a sneak peek into tomorrow's papers and let you know that Norm is honored to receive the endorsements of the Minneapolis Star Tribune and the St. Paul Pioneer Press. We hope you'll pick up a copy to enjoy with your morning coffee! Read about what you know and what already eight Minnesota publications have recognized: Norm Coleman's strong record of public service for Minnesota and his proven ability to work across party lines to get things done are why we need to work hard in the remaining 10 days of this campaign to get Norm re-elected! How much of a putz is Al Franken that he can’t even gain the endorsement of the Star Tribune for goodness sakes? Given the embarrassment of having one cartoon character like Jesse Ventura representing our state politically, not even the Strib can fathom the thought of having another. UPDATE: Terry Francona has had a phenomenal run as manager of the Boston Red Sox. In five seasons, he has led the Sox to two World Series titles. As a player, however, Francona had a rather non-descript 10-year career. The box score I've linked to is the final game in said playing career of one the finest big league managers in the game today. Given this game was played in April, it has nothing to do with the postseason. Nevertheless, can you tell me its significance? Andy & Opie are fishing here. Can you imagine the citizens of 1960s Mayberry, NC voting for a Presidential candidate who opposes a bill providing medical care to an infant surviving an abortion? What if that same candidate’s fiscal policies threatened the livelihood of gas station attendant Goober Pyle as well as Floyd the barber? And if said candidate were elected, Sheriff Andy Taylor might be able to carry a gun on the job but God help him if he wanted to have a personal firearm at home to protect Opie and Aunt Bea. Nevertheless, actors Ron Howard and Andy Griffith would have you believe that the Taylors would actually support such a candidate for President. 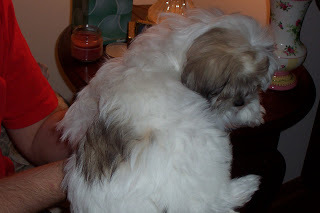 So I was getting ready to head out after dinner Tuesday evening when the door bell rang. To my surprise, it was none other than fellow MOBster Andy Aplikowski. Given that Andy is a volunteer extraordinaire in CD 6, I soon realized he was there to bring me the lawn sign I ordered from the Michele Bachmann campaign. 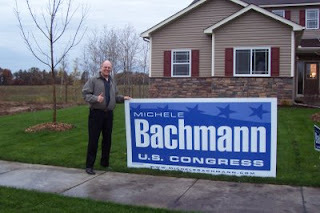 Despite the latest controversy surrounding Bachmann and her comments about Barack Obama, we are displaying the mammoth sign proudly! 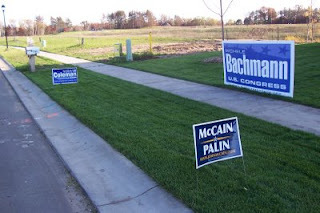 Besides, Congresswoman Bachmann has absolutely nothing to apologize for when expressing her concern that Obama might have “anti-American views”. She has some pretty compelling evidence to state her case. I appreciate a team like the Tampa Bay Rays, a club who is building their franchise much like my Minnesota Twins. The Rays have built a solid nucleus through the draft as well as an occasional trade. Of course, two of the most noteworthy deals involved them fleecing the Twins and New York Mets, respectively, for starting pitchers Matt Garza (the ALCS MVP) and Scott Kazmir. Both pitchers are only 24-years old. The #1 overall pick in 2007, 23-year old left handed pitcher David Price, has already made an impact. He recorded a win in Game 2 of the LCS and the save in a decisive Game 7. With an upper 90s fastball and a devastating slider, Price may be just what the Rays need to stabilize a shaky bullpen. Combine that with a batting order featuring budding superstars like B.J. Upton (.383 On Base percentage) and Evan Longoria (27 HRs and 85 RBIs in only 122 games), the speed of outfielder Carl Crawford and the power of first baseman Carlos Pena, you have the makings of a potential dynasty. The steely calmness of manager Joe Maddon is just what this young Rays team needed after their Game 5 collapse in the LCS. The Phillies have been the stoppers in this 2008 postseason. In the Division Series they needed only four games to dispatch a Milwaukee Brewers team that had won six of their last seven just to get in the postseason. Then in the NLCS the Phils knocked out the Los Angeles Dodgers in five games with timely hitting and a near flawless bullpen (0.96 ERA in 18 2/3 innings pitched). Ryan Madson and J.C. Romero have been very effective as the righty/lefty combo the Phillies turn to in the seventh and eight innings. Closer Brad Lidge has been a perfect 46 for 46 in save opportunities, including postseason. It’s a good thing for the Phils that they’ve had a full week off given how overworked their bullpen was in the LCS. Outside of NLCS MVP Cole Hamels’ two starts, the Philly starting pitchers averaged only four innings per outing against the Dodgers. The likes of first baseman Ryan Howard (2006 MVP; 177 home runs in only 3 ½ seasons), shortstop Jimmie Rollins (2007 MVP) and second baseman Chase Utley (100-plus RBIs three of the past four seasons) are finally gaining the attention of baseball fans outside of Philadelphia. Manager Charlie Manuel, a good ol’ boy from West Virginia, has somehow maintained his “aw shucks” demeanor in a notoriously tough sports town. He’s averaged nearly 90 wins per season in four years with the Phillies. I believe the difference in this series will be Tampa’s superior starting pitching. If the Phils can steal Game 1 at Tropicana Field with Hamels on the mound, they have a shot. Nevertheless, I’m going with the Rays in six. Former Secretary of State Colin Powell endorsing Barack Obama for President shouldn’t come as a huge shock. After all, Powell’s service in the cabinets of two Republican Presidents (Bush 41 and Bush 43) had less to do with the respective administration’s political leanings as much as it did with his acumen in the matters of National Security. As Ed Morrissey astutely points out, Powell could easily have served as Secretary of State in a Clinton administration as much as in a Bush administration. "Colin Powell is permitted to come into the house of the master, as long as he will serve the master according to the master's plans," Belafonte said. "And when Colin Powell dares suggest something other than what the master wants to hear, he will be turned back out to pasture. And you don't hear much from those who live in the pasture." As it turned out, Powell was anything but a robotic servant during his tenure in the Bush cabinet. It was no secret that he and Secretary of Defense Donald Rumsfeld had some tense moments regarding the Iraq war. Powell would go on to voluntarily resign his post as Secretary of State upon Bush’s re-election. And as Powell proved this weekend, he is indeed his own man. So when he says his endorsement of Obama has nothing to do with race, I am inclined to believe him. The question now is will the major players in the African-American community, who seemingly ostracized Powell for serving in the Bush administration, embrace him now that he has endorsed the first ever black nominee? UPDATE: Pitcher Christy Mathewson tossed his third shutout in six days as his New York Giants topped the Philadelphia Athletics in the '05 World Series. Mathewson's 27 consecutive scoreless innings in World Series play is a record that will likely never be broken. What record was set in Game 5 of the 1905 World Series? It’s a record which still stands today. Foot put together a brilliant piece a few months ago entitled “Rhetoric that needs to die. Now.” If I may, I would like to put together a list of my own. Well, actually a list of one. It pertains to the Major League Baseball playoffs. So what if the Red Sox are down 3 games to 1 in the ALCS. They rallied from down 3-1 last year to win the AL pennant and eventually the World Series. • Josh Beckett (6-2 with a 1.73 ERA in his two prior postseasons) still looks to be bothered by a strained oblique. He has an 11.57 ERA in two playoff starts this year. • David Ortiz looks like the stiff the Twins jettisoned after the 2002 season. He is hitting .161 with ZERO homeruns and 1 RBI in eight playoff games (including .071 and 0 RBIs in the LCS). It ain’t happenin’ this year, Red Sox Nation. The faster you accept that, the quicker you can shift your focus to the soon-to-be 8-8 Patriots. Mickey Mouse must be a democrat. Where’s the outrage, Democrats? You perpetuated baseless claims of voter fraud in 2000 and 2004 when you were trounced in both election cycles. You were even wringing your hands prior to the ’06 midterms only to hear crickets the day after your party gained a Congressional majority. Huh. I guess there’s only disenfranchisement when the GOP wins, eh? And now you have one of the most heinous examples of voter fraud in the history of this country and nary a reaction. Even your candidate for President brushes it off. Sid Hartman is one of the more recognizable names in the Twin Cities, if not the entire country. With 60-plus years as a Star Tribune sports columnist in addition to a 50-year stint on WCCO radio, Sid has made an indelible mark on the local sports scene. What was supposed to be an annual contest ceased after only four years. Fortunately for me I was a participant in the final go-round in 1995 at the Minnesota State Fair. Hard to believe that was thirteen years and fifty pounds ago. Sifting through some of my old VHS cassettes, I came across the video footage containing my fifteen two minutes, eleven seconds of fame. Week 6 in the NFL not for the faint of heart. What a week in the NFL!! There were so many late rallies, last-second heroics and stunning finishes, that it’s hard to name the biggest thriller. That said, let’s take a look at the various endings of the early games today. In a nine minute stretch, there were all sorts of wild plays taking place in four different games. • Kyle Orton's 17-yd TD pass to Rashied Davis gives the Bears a 20-19 lead over the Falcons with 11 seconds left at 4:00:12 ET. • Ryan Longwell's 26-yd FG gives the Vikings a 12-10 lead over the Lions with 12 seconds left at 4:03:01 ET. • Matt Schaub's 3-yd TD run gives the Texans a 29-28 lead over the Dolphins with three seconds left at 4:04:08 ET. • Josh Brown's 49-yd FG gives the Rams a 19-17 win with no time left at 4:08:24 ET. • Jason Elam's 48-yd FG gives the Falcons a 22-20 win over the Bears with no time left at 4:09:01 ET. • The Arizona Cardinals defeated the Dallas Cowboys 30-24 in overtime. The winning touchdown was scored by Monty Beisel on a three yard return of a blocked punt. This marks the first time in NFL history when a game ended on a touchdown as a result of a blocked punt. It almost happened on November 5, 1989 when the Rams and Vikings went to OT tied at 21. In that contest, the Vikings’ Mike Merriweather blocked a punt and pounced on it in the end zone. Unfortunately the ball squirted loose and ended up going out the back of the end zone, resulting in a safety and a 23-21 Vikes win. • Sore shoulder, my arse. Green Bay quarterback Aaron Rodgers threw a 45-yard laser to Greg Jennings in the third quarter to snap a 10-10 tie with the Seattle Seahawks. The Packers went on to win 27-17 and are now tied with the Bears and Vikings atop the NFC North division with a 3-3 record. I don’t gamble and I don’t play fantasy football. Yet, I couldn’t have been more glued to the TV and internet with this week’s NFL action! Nation of Islam leader Louis Farrakhan, another powerful Chicago-based political figure associated with the Rev. Jeremiah Wright and other long-time associates of Democratic Party presidential candidate Barack Obama, is leaving no doubt about what he thinks of the leader in the campaign for the White House. Addressing a large crowd behind a podium Feb. 24 with a Nation of Islam Saviour's Day 2008 sign, Farrakhan proclaims, "You are the instruments that God is going to use to bring about universal change, and that is why Barack has captured the youth. And he has involved young people in a political process that they didn't care anything about. That's a sign. When the Messiah speaks, the youth will hear, and the Messiah is absolutely speaking." When I hear those words, I think of Jesus’ words in Matthew 7:15 (emphasis mine). The verse says Watch out for false prophets. They come to you in sheep's clothing, but inwardly they are ferocious wolves. UPDATE: The box score I linked to was Game 7 of the 1964 World Series featuring the New York Yankees and the St. Louis Cardinals. It also marked the final postseason game in the illustrious career of Mickey Mantle. I am looking for the historical significance of this box score. John McCain should have hit Barack Obama with the Bill Ayers association a while ago. Time will tell how much traction will be gained with the latest McCain campaign ads. Whatever the case, Obama continually dismisses the Ayers angle, even to the point of throwing down a “say it to my face” challenge. "I am surprised that, you know, we've been seeing some pretty over-the-top attacks coming out of the McCain campaign over the last several days, that he wasn't willing to say it to my face. But I guess we've got one last debate. So presumably, if he ends up feeling that he needs to, he will raise it during the debate." Well what about you, Barry? Do you have the guts to call Sen. McCain a “racist” to his face? After all, you yourself attempted to score far cheaper political points over the Summer with shameless racial demagoguery. “It is going to be very difficult for Republicans to run on their stewardship of the economy or their outstanding foreign policy,” Obama told a fundraiser in Jacksonville, Florida. “We know what kind of campaign they’re going to run. They’re going to try to make you afraid. A month later, he basically reiterated those very sentiments. There you have it. Attacking Obama on the basis of his liberal ideology and associations with radicals gets his detractors (and opponents) labeled as racists. Not that he would have the intestinal fortitude to say it to McCain himself. There's one certainty in uncertain times. This past Sunday evening my wife & I were winding down the weekend, getting ready for the work week ahead. As we were preparing to turn in for the night we admitted to each other how downtrodden we were both feeling the prior week. The funny thing is neither of us knew why. We had just completed a six month process of building a home and were pretty well settled in. Certainly relieving the weight of said process from our shoulders should have replenished our minds and bodies. Also, the gal is three months removed from completing the course work for her Masters degree, another task where the end was welcome. As we sifted through all the possible sources of our consternation, we realized our feelings stemmed from all that is taking place in our country. If one takes the current financial crisis in America and combines it with the prospect of a President Barack Obama (a/k/a a 21st century version of the Jimmy Carter administration), that’s enough to depress anyone. Immediately, once we identified the issue, we began to rejoice! That's because we know our true source of happiness, which is our faith in our Lord and Savior Jesus Christ. And as the latest Break Point column reminds us, there's plenty of opportunity to strengthen the investments which will last an eternity. As this financial crisis spreads uncertainty throughout the markets and across Main Street, there’s another opportunity on the table—that opportunity that we Christians have to witness to our neighbors. How you react to this crisis—in conversation with friends, in helping a family in trouble, in how you live within your means—will speak volumes about the confidence you have in Christ and in the sovereignty of God. Now there’s an opportunity we dare not miss. Given the current state of our economy, there is a lot of uncertainty in the minds of many Americans. But I encourage you to rejoice in what God's word says in Hebrews 13:8. Jesus Christ is the same yesterday and today and forever. Since I'm such an avid Minnesota sports fan, you can imagine the back and forth ribbing between myself and my Wisconsin relatives. My Grandmother is one of fifteen kids in her family (the majority still in Wisconsin), which means I have scores of uncles, aunts and cousins who rib me incessantly over the fact their Green Bay Packers lead my Vikings in Super Bowl wins, 3-0. The longest running gag was when my late great-Uncle Ray would show me his bare fist and say "Do you know what this is? It's the Super Bowl ring hand of the Vikings." Given that Uncle Ray was getting up there in years, he kept forgetting that he told me that joke and thus would tell it over and over. Well, about the fourth time he inquired, I responded "It's the World Series ring hand of the Brewers." So for the 39th consecutive season, my version of that tired old joke still applies as the Milwaukee Brewers went belly up on Sunday. Oh well. 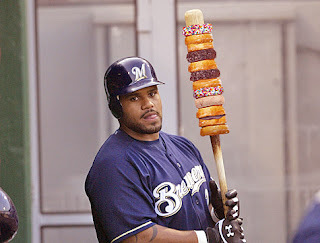 The good news is portly Prince Fielder can start his offseason training regimen a little earlier. "It is the only time in World Series history that the last out was made on an attempted stolen base. Babe Ruth was thrown out trying to steal second after coaxing a walk." Game 7, 1926 World Series. Other than the magnitude of the game, what was unique about it? The good news is we got in to our new house on Tuesday the 30th!! Thankfully we hired movers, which means we merely had to do the unpacking, assembling, filing, etc. However, a brand new house means I was back to work today. Blogging may be lite for the next, oh, 15 to 30 years.